E|SPACES combines the functionality of executive suites, coworking space and shared offices to create a professional environment for entrepreneurs, small businesses and corporate teams. We offer meeting, office and coworking space, along with amenities such as 24/7 access, location manager assistance, free parking, coffee and snacks, wifi and IT support. We’re an ideal workspace for a corporate team to focus and complete a project off site or a business that’s expanding and needs space in transition. For mobile professionals, we’re a hub for when collaborative space or meeting rooms are needed. We offer highly-equipped meeting and conference rooms and the ability to only book meeting space. The unique commonality at E|SPACES is that we are a community of professionals. By making E|SPACES your business address, you’re tapping into the expertise and services of the other professionals that set up shop at our facilities. Throughout the year, our location managers plan programmed networking events and info sessions from other businesses to showcase available professional services. Our community includes salespeople, management consultants, real estate agents, accountants, writers, public relations executives, account executives, regional managers, lawyers, trainers, consulting engineers, entrepreneurs, investors and professionals from all areas. Many are self-employed or work for small businesses, while others work for large corporations in need of extra space or a new environment for a specific team project. E|SPACES has been a great asset to our middle Tennessee teams as we have been able to leverage local, private meeting space for our teams from 1-20 people. Given our short timelines on market opportunities, we have been able to find locations and space in less than 24 hours as well as advanced bookings. I personally have leveraged the space to meet with customers, colleagues and my leadership team. Over the last 2 years, I reflect on how much time and expense we saved leveraging E|SPACES vs. hotels. I couldn’t imagine going back to that time consuming and costly alternative. Thanks, E|SPACES! E|SPACES provides Nissan with the ability to flex up for additional space for small and large project management teams who need to work offsite without the day to day distractions of the office. Great environment for our business transformational activities and brainstorming groups. The staff is extremely helpful, technology is readily available and the ability to reserve project/meeting rooms for cross-functional teams needing single or multiple day rooms provides flexibility. Our HQ building conference rooms are a premium and under high demand. Moving these teams offsite at E|SPACES enables us to provide our current rooms for multiple meetings throughout a day. 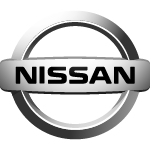 Director of Corporate Services, Nissan of North America.